Francisca Adu, a freshman spoke about the importance of observation and interpretation as part of the design thinking process. She highlighted the fact that, identifying a problem which is the gateway to problem-solving actually starts with observation and the ability to tell what the information gathered means. She wants to impact this knowledge in other people so that they will be more critical about their environment as the solution to problems is all around. She belives design thinking is very important and can help absolutely anyone to be more creative at not just solving problems but performing little task on a daily basis. Design Thinking is part of the Foundation of Design and Entrepreneurship course students take to help boost their problem solving skills. This mostly takes place in the design lab which is a creative space where students can explore even outside of class; come up with projects and basically develop their creative prowesses. 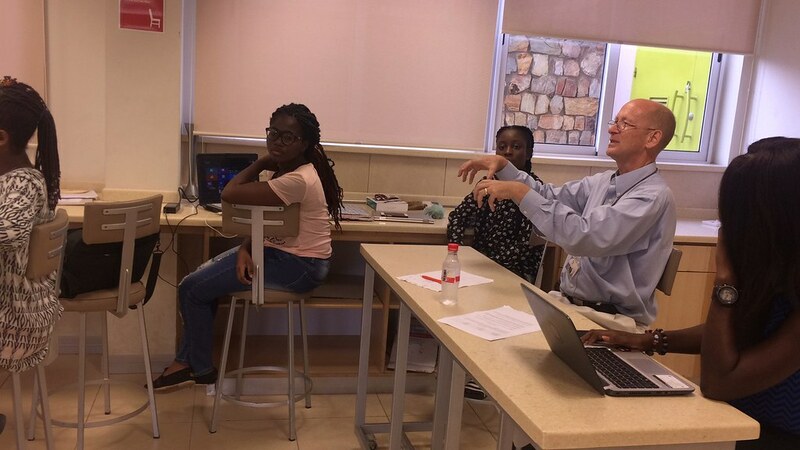 Sessions like the Content Series gives students the opportunity to tell people about a topic or idea they find interesting while the maker sessions help students to do hands on activities like building applications and solar powered batteries. Posted in Content Series, EventsTagged Content Series, Design thinking, Observation, ReseacrhBookmark the permalink.